Running a business or a large commercial location is nothing that should be taken lightly. 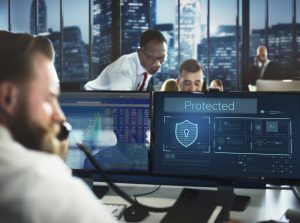 When it comes to your security measures, it is always going to be best that you never leave any stone unturned and that you have the ability to fully streamline all of the processes involved. This is where Empire Technologies can be there to help with security system integration in Inland Empire or the surrounding areas. Empire Technologies fully understands all of the latest industry standards and we are always working to stay on top of the newest trends and technology that can make your life easier. We feature trained technicians that always have your best interests in mind and understand what a major undertaking this can be. Once you call us, we will send someone out to your location to analyze the security that you have in place to help formulate a plan for integration and efficiency. Whether you are an educational facility, healthcare agency, or another type of commercial space, you have the main goal of security and ensuring that all of your processes work as flawlessly as possible. Each and every customer of ours will go through a full assessment process so that we know we are providing you with everything that you need to work on protecting your location, employees, and assets. Are you hoping that you will be able to enjoy a finished result that is tailor-made to your needs and budget? We have the access to the latest technology that you are looking for and have the ability to customize your security system integration so that you have the ultimate end result. Contact Empire Technologies by calling (714)422-0431 if you would like to talk with us about your options for security system integration in Inland Empire. We can set up a time for an initial consultation and assessment that is most convenient for you.